UK band Polymath welds intricate prog and math-rock with the visceral force of punk. 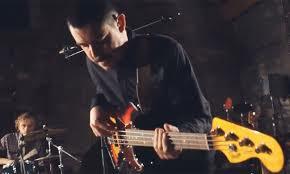 Joe Branton's bass playing embraces the shifts with a variety of meaty tones, techniques and nuance. Joe talks us through his development as a bassist, right through to the soon to be released Polymath double album 'House of Wisdom'. We also get the lowdown on Polymath's feature in Boss' worldwide video for the release of the MS3 switcher/multi- effects. Joe is a co-host of the Guitar Nerds podcast and is the marketing manager at gear retailer GAK.